Scot's Newsletter Forum is Back! Members of Scot's Newsletter Forums (affectionately referred to as SNF) have been missing their regular hangout for several weeks. Both Scot's Newsletter Blog and Forums were hacked via FTP access to the sites. Through the assistance of anonymous white-hat security experts, a move to a new host and blog and forum software upgrades, Scot brought Scot's Newsletter Blog back on line earlier this week. Just a very short time ago the tweaks and adjustments were completed and Scot's Newsletter Forums is live again! Scot's Newsletter Forums covers a variety of topics, including Microsoft Windows, Browsers and Email, Security and Networking and more. The most popular forum at SNF is "All Things Linux. Help and encouragement are provided in a fast and friendly fashion and available for beginners as well as experts. Whatever your computer interest, whether Microsoft Windows, Mac or Linux, help is available at Scot's Newsletter Forums. To SNF Highlanders: Welcome Back! The purpose of Microsoft Security Advisory 965187 released by Microsoft today is to warn of a public exploit code available for Microsoft Security Bulletin MS08-037, Vulnerabilities in DNS Could Allow Spoofing. According to the MSRC Blog report, the public exploit code has been investigated. You are not affected if the referenced MS08-037, included with the Microsoft security updates on July 8 in coordination with other vendors, has been installed. "Microsoft last week traveled to San Francisco, rounding up Windows XP users who had negative impressions of Vista. The subjects were put on video, asked about their Vista impressions, and then shown a "new" operating system, code-named Mojave. More than 90 percent gave positive feedback on what they saw. Then they were told that "Mojave" was actually Windows Vista. "Oh wow," said one user . . ."
"Ironic, so perhaps it’s perception not usage that has led to at least part of any negative response to Vista." I recall Windows XP getting about the same type of negative reception as Windows Vista. No way were people ready or willing to give up their precious Windows 98SE. Why introduce a new operating system without changes? Technology changes and Windows Vista is a change. Being interested in the security side, I think the changes in Windows Vista are a major improvement over Windows XP. If you are ready for a change but don't know what to expect in the look and feel of Windows Vista, start with this article from Microsoft, What's changed from Windows XP? Julie Amero has been left hanging by the so-called Connecticut legal system long enough! via SunbeltBlog: A plea to the Connecticut State AG. As you may recall, I introduced you to Windows Talk Blog the other day. It was from James' post, Possible Vista 'Speed-up'?, that I was led to an article by Jeff Alexander and from there to a Microsoft description of Windows Search 4, which in turn led to a half-dozen short demos that show how you can get the most from Search in Windows Vista or Windows XP. To learn about Windows Search 4.0, refer to the collection of references below. Jeff Alexander's Weblog -- Wanna speed up Vista? Get Windows Search 4.0! Windows Talk Blog -- Possible Vista 'Speed-up'? Fixed an issue where the phishing and malware database did not update on first launch. Under certain circumstances, Firefox 3.0 did not properly save the SSL certificate exceptions list. Updated the internal Public suffix list. In certain cases, installing Firefox 2 in the same directory in which Firefox 3 has been installed resulted in Firefox 2 being unstable. This issue was fixed as part of Firefox 2.0.0.15. Fixed an issue where, when printing a selected region of content from the middle of a page, some of the output was missing (bug 433373) . If you have not yet been offered the update, Click Help >Check for updates. In addition to a rather large number of security community forums where I can be found, I have a much larger list of mainly technology-related blogs that I follow. It seems that I add a new blog to my RSS feed if not every day, at least weekly. Aside from the Microsoft and security-related blogs, there are quite a few blog that I would categorize as technology related. These are sites like ITsVista, Vista4Beginners, The Road to Know Where, and of course Ed Bott's Windows Expertise and Microsoft Report (and the other ZDNet as well as ComputerWorld blogs). I just added a new blog to both the Security Garden "Perennial Favorites" list as well as the large group of technology-related blogs on my RSS feed list. 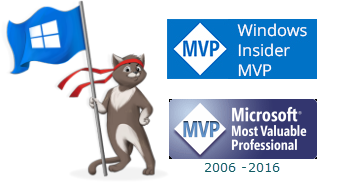 The blog is a new endeavor by fellow Microsoft MVP, James M. Fisher. I first met James in 2003 at Scot's Newsletter Forum. We continue to be involved in a number of the same on-line communities. The reason I was so quick to add James' blog to my list of favorites is not because of our long acquaintance but because, as new as his blog is, there are already several topics that I have noted for future reference. There is no doubt that I will find Windows Talk Blog a continuing valuable resource. Welcome to the blogosphere, James! Due to a major hardware failure, the Calendar of Updates (CoU) was down for a bit. Sometimes when one thing happens, something else goes wrong as well. That is the case here. There was also a glitch with the recent backups so an older version of the database had to be restored. Although there are some missing posts and tutorials, the important thing is that the site is back up and help and update are both available again at CoU. Welcome back, CoU! LandzDown Forum Celebrates 3rd Anniversary! Although the LandzDown Team has been together much longer, it was three years ago today that the doors to the LandzDown Forum (LzD) were opened to the public. Although we have lost members of our chosen family, they remain Forever in our hearts and remain with us in spirit. Over the past three years, while providing both general computer as well as security help and information, we have made many new friends at LzD. We look forward to the years that follow, the friends we will make and the help yet to be provided. Please join us in the celebration: Happy 3rd Birthday LandzDown Forum. As I updated the July Security Bulletin post to note, there was a problem encountered by those who use ZoneAlarm Firewall and installed Microsoft Update MS08-037 (KB 951748) which caused a problem connecting to the internet. Winchester73 originally reported the problem and provided a temporary work around (See MS update KB951748 and ZoneAlarm --- PROBLEM.) Eventually, ZoneAlarm folks also realized that Winchester73's work around was the best temporary solution until they provided software updates. Anyone using ZoneAlarm needs to follow the links provided below by Microsoft in the revised Security Bulletin MS08-037. Update ZoneAlarm and, if you haven't done so yet, please install MS08-037 as soon as possible. On 10 July 2008 Microsoft updated Security Bulletin MS08-037 - Vulnerabilities in DNS Could Allow Spoofing (953230). After releasing MS08-037, Microsoft became aware of public reports of a deployment issue affecting ZoneAlarm and Check Point Endpoint Security (previously named Check Point Integrity) customers. Microsoft immediately began investigating and based on its initial investigation, it confirmed that these affected customers may lose connectivity after applying Microsoft Security Bulletin MS08-037. Microsoft encourages the users of ZoneAlarm to review the appropriate ZoneAlarm Web site (http://download.zonealarm.com/bin/free/pressReleases/2008/LossOfInternetAccessIssue.html), and Check Point Endpoint users to review the appropriate Check Point Web site (https://supportcenter.checkpoint.com/supportcenter/index.jsp) and the MS08-037 Security Bulletin (http://www.microsoft.com/technet/security/bulletin/MS08-037.mspx) for the latest guidance or software updates. Sun Microsystems has issued an important update to Sun Java™ Runtime Environment (JRE) 6. The update is identified as release is 1.6.0_07-b06 (where "b" means "build"). The external version number is 6u7. Included in JDK 6u7 is version 10.0 of the Java HotSpot Virtual Machine. If you have SunJava installed on your computer, please follow the updated instructions at SunFlowers and SunJava Update for removing prior versions of SunJava from your computer and installing the latest update. This is one of those occasions when I'll stray from security topics. Although, in a way, it fits in the garden theme, since Kodak could be considered part of my extended garden, having been a life-long employee. "Kodak has announced the world's first 50 million pixel CCD image sensor for professional photography (i.e., for medium-format cameras). Engineering-grade devices of the CCD, the KAF-50100, are currently available. Kodak plans to enter volume production in Q4 2008. "At 50 megapixels, the sensor captures digital images with unprecedented resolution and detail. For instance, with a 50 megapixel camera, in an aerial photo of a field 1.5 miles [about 2.5 km] across, you could detect an object about the size of a small notebook computer (1 foot by 1 foot)." Here's CNet's Crave blog with a few more technical details." Below is an overview of the new Microsoft security bulletins being released today. Security bulletins are released monthly to resolve critical problem vulnerabilities. Microsoft is also releasing an updated version of the Microsoft Windows Malicious Software Removal Tool (MSRT). Note that it is necessary to accept the license terms in order to continue with the installation of the updated tool. I would encourage everyone to do so. This tool has had excellent results in removing malware from computers around the world. The prompt is as shown in the screen copy below. A copy/paste of the full text of the license terms is available at Tidbits. Affected Products: Windows 2000, Windows XP, Windows Server 2003, Windows Server 2008. Microsoft has released Security Advisory 955179, "Vulnerability in the ActiveX Control for the Snapshot Viewer for Microsoft Access Could Allow Remote Code Execution". The vulnerability only affects the ActiveX control for the Snapshot Viewer for Microsoft Office Access 2000, Microsoft Office Access 2002, and Microsoft Office Access 2003. The ActiveX control is shipped with all supported versions of Microsoft Office Access except for Microsoft Office Access 2007. The ActiveX control is also shipped with the standalone Snapshot Viewer. There are manual workarounds included in the Advisory which Microsoft has tested. However, those workarounds require editing the registry. A simpler solution is available for WinPatrol users. Launch WinPatrol and select the ActiveX tab. Be sure the "List non-Microsoft controls only" box is UNchecked. Click on the CLSID column twice to sort in reverse order. One-by-one, scroll to each of the CLSID entries below. Select the line and click "Disable". After Microsoft has issued an update, merely reverse the process. For further information on this advisory, see Snapshot Viewer ActiveX Control Vulnerability and Security Advisory 955179. Microsoft may have moved on to Windows Live Mail, but Windows Mail still ships with Windows Vista. Personally, I have found Windows Mail easy to use for both mail and newsgroups. As a result, spotting several topics by Winhelponline on the Windows Mail custom dictionary, prompted me to add them to Windows Vista Bookmarks. You can find the links in Windows Mail & Calendar. The Fourth of July is the only U.S. national holiday that celebrates the United States. Traditions include family gatherings, concerts, barbecues, town parades and, of course, fireworks. Wishing you and your family a safe holiday. The Microsoft Update Product Team Blog reported that beginning at the end of July and continuing over the next few months, Microsoft will be rolling out an infrastructure update to the Windows Update agent (client). According to the report, the purpose of this update is to provide improvements in the length of time it takes Windows Update to scan for updates and how quickly signature updates will be received. In testing, the improvements have reduced the scan times on some machines almost 20 percent. In addition to the update announcement, Windows Update Product Manager, Michelle Haven, provided a review of the Windows Update options and how the settings effect your computer. For additional information on Windows Updates, see my tutorial, Understanding Microsoft Updates. Also note that malware can change your Automatic Update settings. To protect those settings refer to Detect Changes to Windows Automatic Updates with WinPatrol. On 08 July 2008 Microsoft is planning to release four new security bulletins. All four are rated as Important with an elevation of privilege as the impact of the vulnerability being fixed for three of the bulletins. The impact of vulnerability for Windows Bulletin 2 is Spoofing. As usual, the Microsoft Baseline Security Analyzer can detect whether your computer system requires this update. Microsoft Windows, Microsoft SQL Server. For more information, see the Affected Software section on the Advance Notification web page referenced below. Windows Vista, Windows Server 2008. For more information, see the Affected Software section on the Advance Notification web page referenced below. Windows 2000, Windows XP, Windows Server 2003, Windows Server 2008. For more information, see the Affected Software section on the Advance Notification web page referenced below. Exchange Server 2003 and Exchange Server 2007. For more information, see the Affected Software section on the Advance Notification web page referenced below. Blake Handler updated his excellent Parent's Guide to MySpace to incorporate the new MySpace features and how the MySpace account is configured. This is a "must read" by any parents of children active in the MySpace community. For other parental tips, click on the "child safety" label at the end of this post. 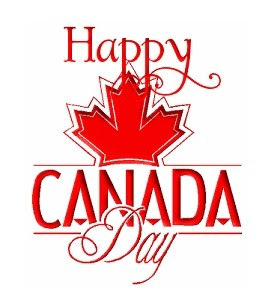 To My Northern Neighbors . . .